Lichtsteiner kept his place at right-back on Sunday but the experienced full-back was also forced off during the 2-0 win over Southampton after being replaced by Laurent Koscielny early in the second half. Thankfully it doesn’t sound like either situation is serious as Emery says Iwobi’s injury is only a knock while Lichtsteiner has a minor back problem. Both players will be assessed at London Colney today but Emery hasn’t ruled them out of the game against Bournemouth on Wednesday just yet. The Arsenal coach also offered an update on Maitland-Niles after he missed the games with Southampton and BATE Borisov through illness but Emery is hopeful the midfielder will be available to return against the Cherries. I hope it’s only one knock and not a more important injury. I hope he can play Wednesday. Lichtsteiner has back pain but I think he can also be okay for Wednesday. I hope also Maitland-Niles can be ready for Wednesday. 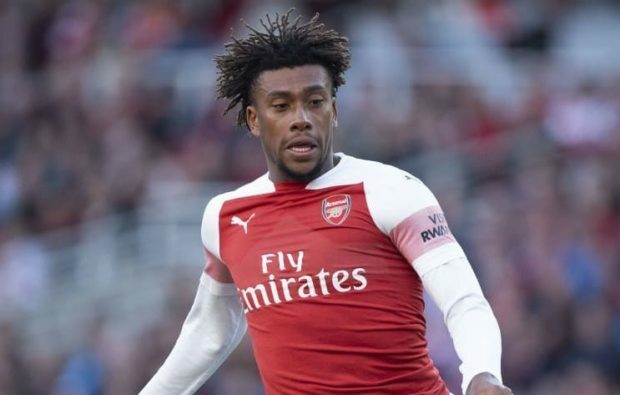 Let’s hope Iwobi’s injury is only minor as it would be a big blow to lose him just as he’s starting to find some real form and with Hector Bellerin out for the season it’s important Lichtsteiner and/or Maitland-Niles are fit to take on Bournemouth in midweek.